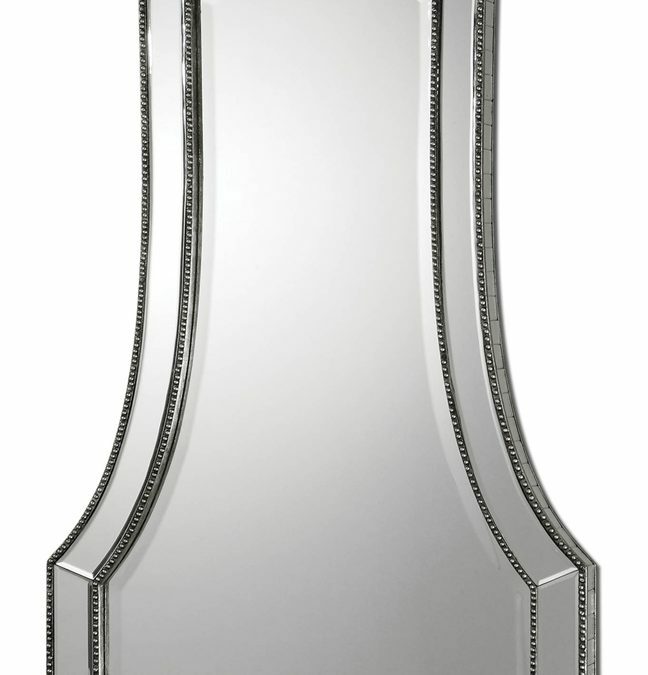 Elegance and sophistication define this beautiful beveled mirror with beaded trim border. The unique shape of this mirror lends itself to placement over a vanity in a master bathroom. 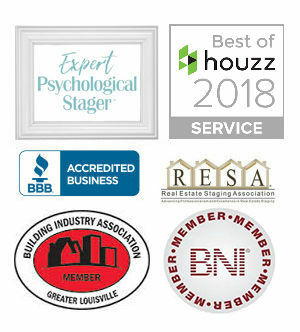 This mirror was showcased in the “Asterid” Homearama house built by Landis Homes and designed by our team of award winning team of designers here at Reflections of You by Amy. Add a touch of stylish refinement to your bathroom with this mirror. 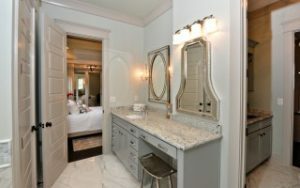 Shown here as a makeup vanity mirror in our Homearama house over a Colonial White Cambria countertops having a waterfall edge and with a backdrop of Benjamin Moore Night Mist painted walls. A stunning combination for a master bathroom! The “Tanya” mirror is available through the Reflections of You by Amy online store at www.amywagnerdesigns.com/online-store or by calling our office at 502-384-3660.